Around the world, many islands are slowly but surely being submerged. You're running out of time to see these beauties before they disappear into the deep blue sea. 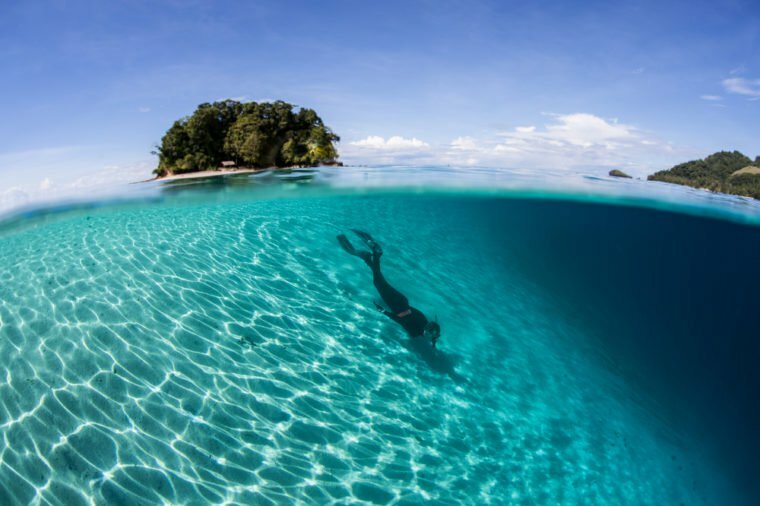 The Solomon Islands, a group of nearly 1,000 islands and atolls in the South Pacific, are slowly being taken over by the sea. In fact, the sea level has risen by around 8 millimeters per year since 1993. It is rising so fast that the provincial capital of Choiseul is just 6.6 feet about sea level, and a new town is being built for residents to relocate. 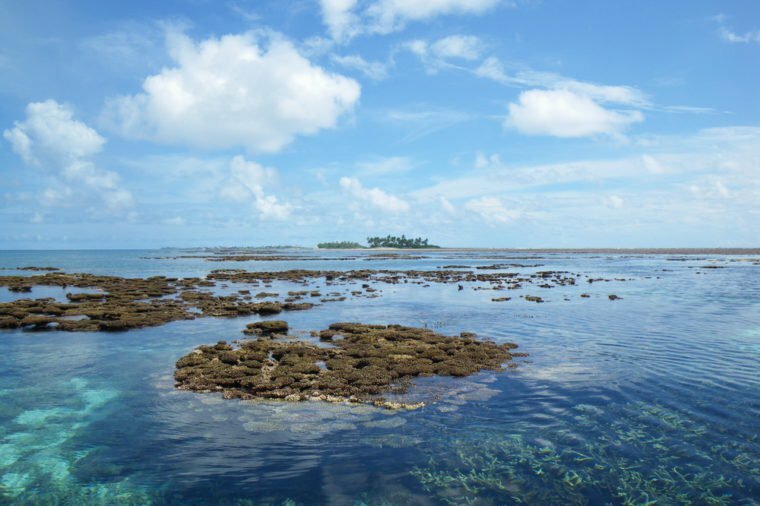 According to a 2016 paper published in the journal Environmental Research Letters, five reef islands have already disappeared, and several villages that had stood since 1935 were destroyed on other islands with receding shorelines. 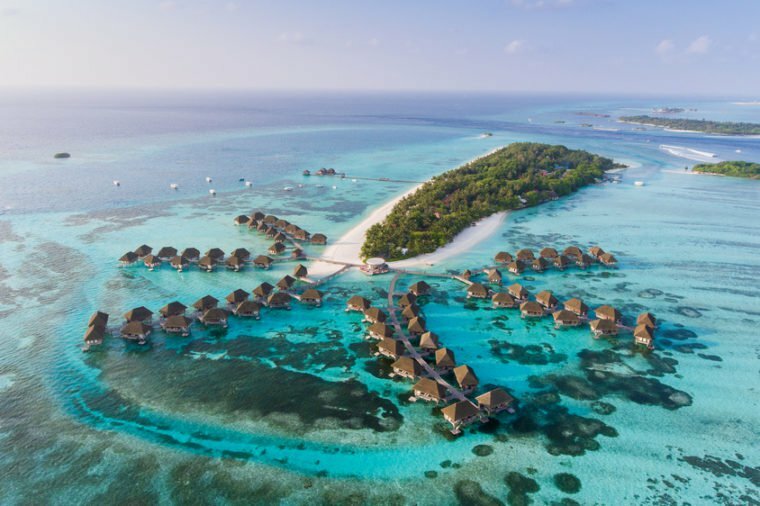 The popular and beautiful Maldives, an archipelago in the Indian Ocean that's home to many lush resorts and even a variety of underwater hotels, are also slowly being covered by the ocean. According to the CIA, the low elevation of the islands makes them sensitive to the sea level rising. The World Bank says that at the current projections of sea level rise, the entire country could be underwater by the year 2100. In 2009, the country's president held a meeting under water in an attempt to bring attention to the impending disaster. 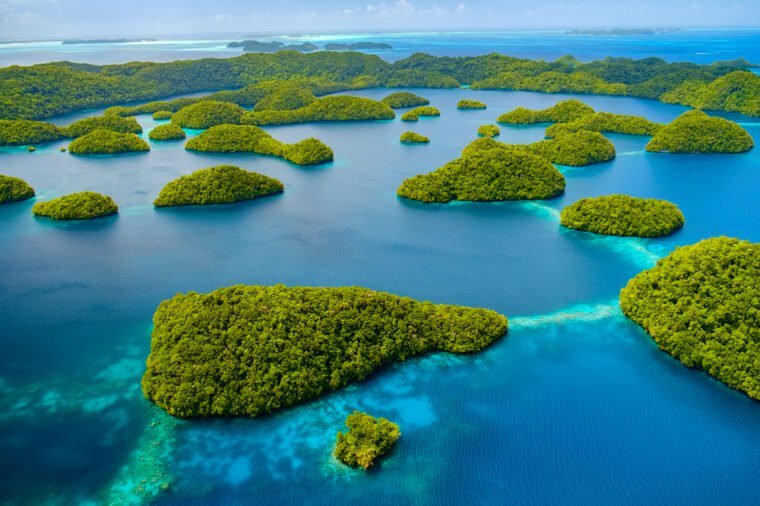 A paper published in collaboration between the Palau National Weather Service Office and the Pacific Climate Change Science Program says that the sea level has risen in Palau, located in the South Pacific, by about 0.35 inches per year since 1993, about three times the global average. It is expected to continue to rise by up to 24 more inches by the year 2090. Public Radio International reports that residents say their yards are flooding during some full moon high tides and are considering moving to a new country. The island's famous non-stinging jellyfish are even disappearing, which may also be due to climate change. 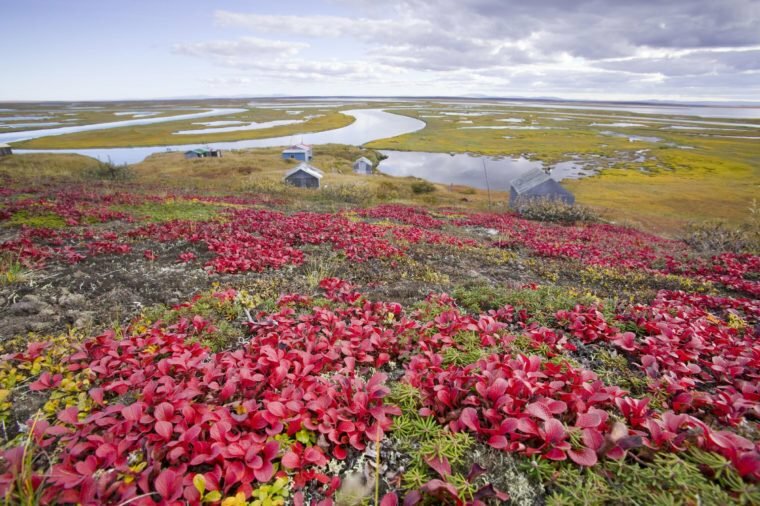 You'll also want to see 14 of the most remote places on Earth. Micronesia is a country made up of 607 islands located 2,500 miles southwest of Hawaii in the Pacific Ocean. 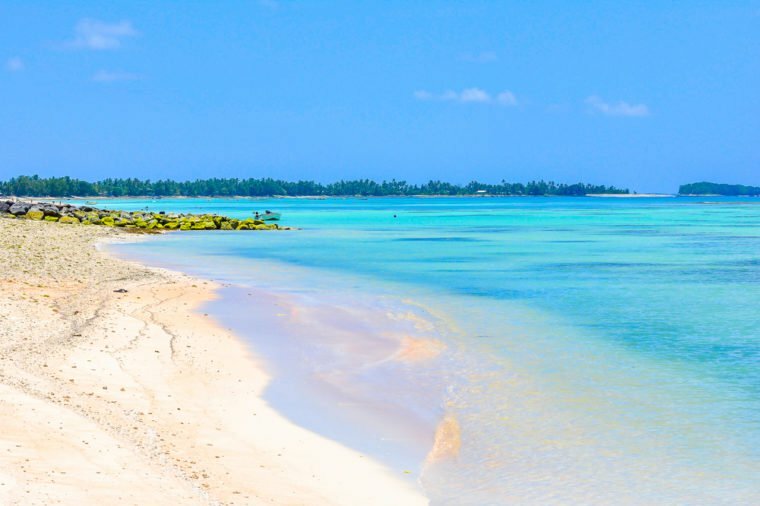 Its mere 270 square miles of land are filled with mountains, mangroves, lagoons, and beaches. 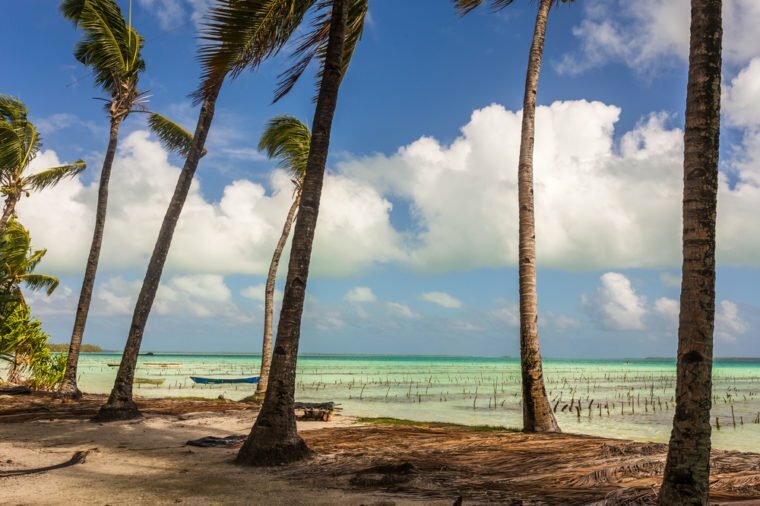 Due to increasing sea levels, the nation has seen several islands disappear within recent memory, while others have been severely reduced in size, according to the Journal of Coastal Conservation. 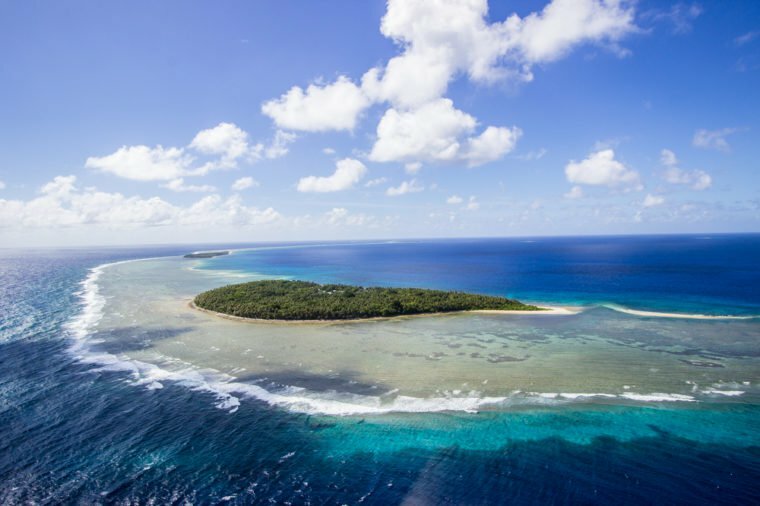 The Pacific Islands of Fiji are also low-lying and vulnerable to changes in ocean levels. The United Nations Framework Convention on Climate Change says that the village of Vunidogoloa was the first to begin relocating because of the rapid sea level rise, which is continuing to worsen. A World Bank report says over the last few decades, some villages have reported a loss of 15-20 meters of shoreline due to loss of mangroves. Sea levels are expected to rise up to 43 centimeters by 2050, according to the report. Rises in ocean temperatures also affect the coral reefs, resulting in coral bleaching that turns the coral white and vulnerable to disease. 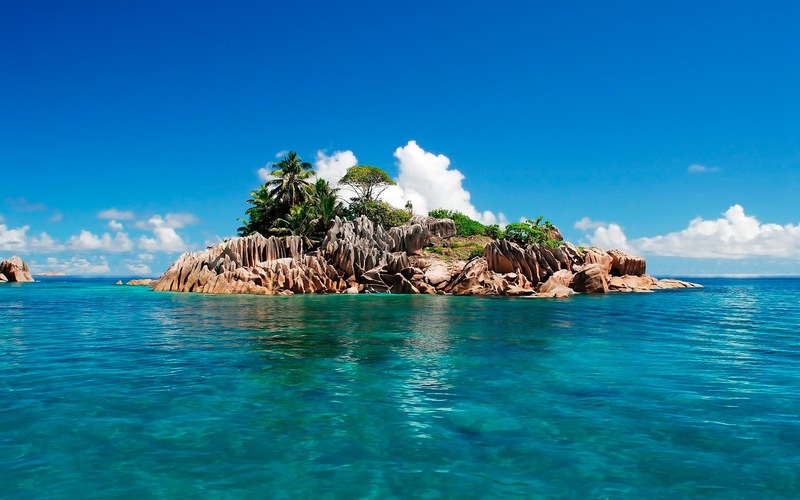 Here are 15 more breathtaking places you need to visit before they disappear. The Prime Minister of Tuvalu, a remote South Pacific nation, has stated that "sea level rise and more severe weather events loom as a growing threat to our entire population." The Tuvalu government says it's one of the most vulnerable places on Earth to the impact of rising sea levels, which could bring complete disaster to its 10,000 residents. 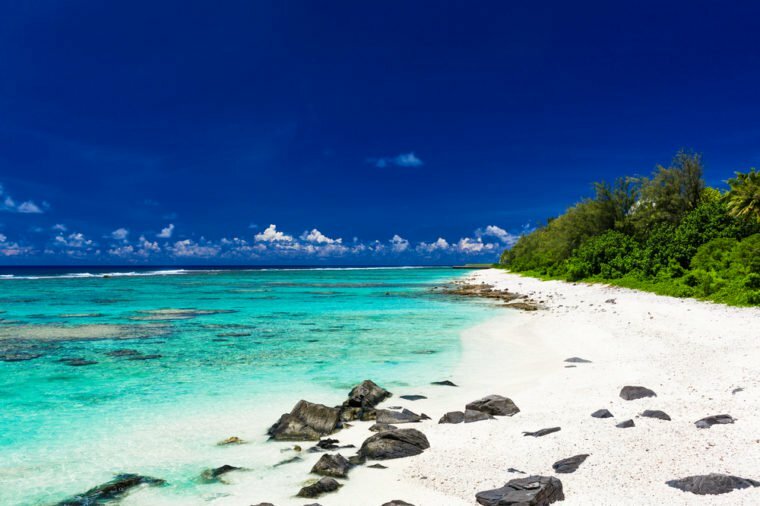 There's a plan to move everyone who lives on this island in the central Pacific completely off due to increasing water levels. The president of Kiribati, an independent republic, looked to buy land in Fiji in 2012 as "climate change insurance" for the island's population. The president was quoted as saying, "moving won't be a matter of choice. It's basically going to be a matter of survival." He has said his country will become uninhabitable by 2050. Described by its tourism board as "like Hawaii was 50 years ago," the Cook Islands off of New Zealand are another set of islands affected by rising sea levels. With a predicted increase in ocean levels of up to 55 centimeters by the year 2090, the rising waters are expected to damage roads, bridges, ports, and runways, which will affect residents and tourism. Water levels are rising on the Marshall Islands, a group of islands halfway between Hawaii and Australia known for their friendly locals and coral reefs, as well. 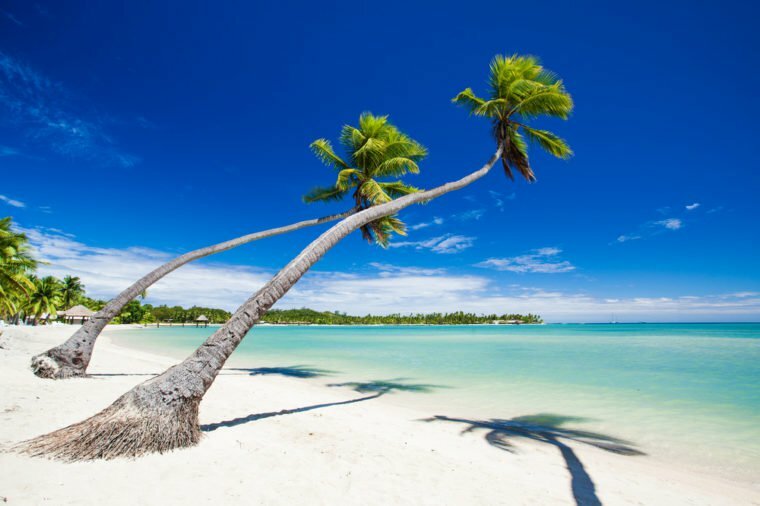 Increasing at a rate of 7 millimeters per year, according to a brochure produced by the Marshall Islands National Weather Service Office and the Pacific-Australia Climate Change Science and Adaptation Planning Program, the rise is about double the global average. The project estimates that water levels will continue to rise by 7.5 inches by 2030, increasing storm surge and coastal flooding. This small island with a population of just 650 has slowly been disappearing into the sea over the last 50 years, according to the U.S. Department of the Interior (DOI), losing 100 feet since 1997. The DOI says the entire island will be gone within the next 20 years. One resident, Esau Sinnok, says he's had to move in and out of 13 houses due to the loss of land. Though residents voted to relocate from this island accessible only by plane, a lack of funding makes these efforts difficult.